Provided photo The two-time Grammy award-winning duo King & Country, made up of Joel and Luke Smallbone, will bring their live show to Troy’s Hobart Arena on Saturday, March 16 as part of their burn the ships | world tour 2019 where they’ll perform music from their third studio album, burn the ships. TROY — The two-time Grammy award-winning duo King & Country will bring their live show to Troy’s Hobart Arena on Saturday, March 16 as part of their burn the ships | world tour 2019 where they’ll perform music from their third studio album, burn the ships. The band will begin their global trek at the end of January in New Zealand and their homeland of Australia — including a sold out show at the Sydney Opera House — and will be hitting the United States for a run of dates starting on March 8 in Augusta, Ga. This new tour will see King & Country be able to bring their highly theatrical, inspirational, and laser/LED video wall-filled concert to more intimate venues. Tickets for the March 16 show in Troy are on sale and can be purchased at www.hobartarena.com or by phone at (937) 339-2911. Tickets are $65, $48, $27.50 and $22.50. King & Country recently released a remix of their No. 1 hit “joy,” produced by electronic artists Fransis Derelle and Jinco. The two artists have reinterpreted the track with expertly curated synths, and pulsing, high energy rhythms that give the song a brand-new sonic texture. These last few months have been record setting for King & Country, starting off with the October release of their third studio album burn the ships. The time and hard work spent working on that record have paid off in spades, as the album debuted at No. 7 on the all-genre Billboard 200 Albums chart. These milestones propelled the band to their biggest ever sales week and their first ever top 10 album. The album’s lead single “joy,” currently stands at No. 26 on the Hot AC Chart. Now, with a stage set up filled with laser shows and walls of moving images, Joel and Luke Smallbone said they are thrilled to share their new work with the upcoming burn the ships | world tour 2019. For more information, visit www.forkingandcountry.com. 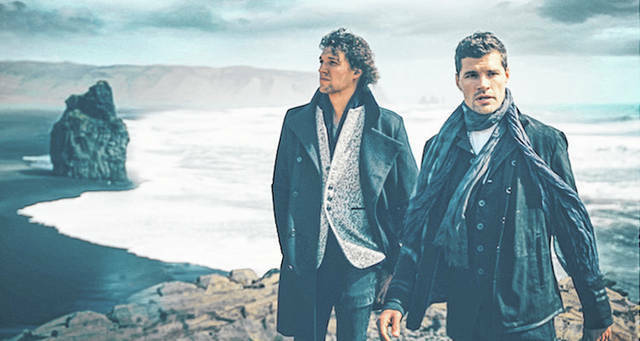 https://www.dailycall.com/wp-content/uploads/sites/30/2019/01/web1_KingCountryimage_750x400-1.jpgProvided photo The two-time Grammy award-winning duo King & Country, made up of Joel and Luke Smallbone, will bring their live show to Troy’s Hobart Arena on Saturday, March 16 as part of their burn the ships | world tour 2019 where they’ll perform music from their third studio album, burn the ships.